It’s in the cat’s mouth. I have it by the ear." "These are certain people even from early childhood who clearly, or murkily—eventually somehow expressed to you they had vision fairly independent of others. Often they have all the thoughts and fine-tune of the artist or the writer, but not the inclination, or time. You became sure of their imaginative and understanding powers; your awareness grew over time. It was even in their gaze." 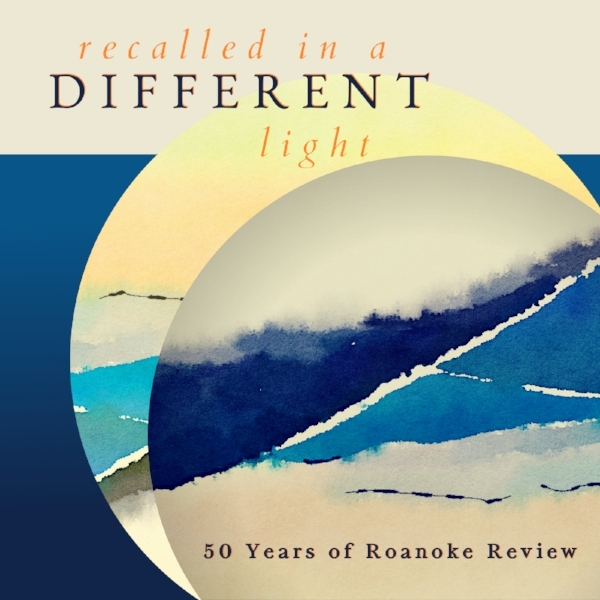 Recalled in a Different Light: 50 Years of Roanoke Review celebrates the many people who have brought our literary journal to life for the past five decades: the writers, editors, readers, and supporters. This online anthology features work from our first 50 years, as well as new work from those former contributors. Instead of releasing it in one chunk, however, the anthology will grow monthly over the coming year—with our inaugural release today! "In the Distance" - Julie Hamilton, oil on canvas, 36" x 48"